Modern scientists try to quantify scientific theories and models, seemingly automatically, without thinking about why they are quantifying or even if they should quantify. A folklorist or an anthropologist looking for and identifying recurring general themes in the preoccupations of scientists might liken their quantitative disposition to a knee-jerk reaction or to the salivating of Pavlov's psychologically conditioned dogs when a bell rang. But if every time they talk or write scientists don't praise explicitly the tremendous power of quantitative reasoning in science, and in many other fields of human thought as well, still they are fully conscious of what they are doing and why. In Greek geometrical astronomy we can find the birth and trace the early development of the quantitative scientific method. There is no evidence that Apollonius tried to quantify the new eccentric and epicycle models for saving the phenomena. For all we know, he may have been perfectly content with his brilliant qualitative explanations. He may not even have imagined that his geometrical model could take on quantitative, predictive power. Four centuries separate Apollonius's qualitative eccentrics and epicycles from Ptolemy's comprehensive quantitative model of planetary motions. Hipparchus bridges this chasm. Ptolemy credits Hipparchus with developing the quantitative solar model presented in the Almagest, "but under conditions which forced him [Hipparchus], as far as concerns the effect over a long period, to conjecture rather than to predict, since he had found very few observations of fixed stars before his own time" (Almagest, VII 1). Ptolemy had more observations, and he corrected Hip-parchus's theory. Uncertainty exists over what Ptolemy contributed and what Hipparchus contributed, and some historians attribute to Hipparchus everything not explicitly claimed by Ptolemy as his own. Figure 8.1: Ptolemy's Geometrical Demonstration of the Solar Eccentricity and Apogee. The ecliptic (for Ptolemy, the apparent path of the Sun among the stars; in modern theory, the plane of the Earth's orbit around the Sun marked against the stars) is ABCD. 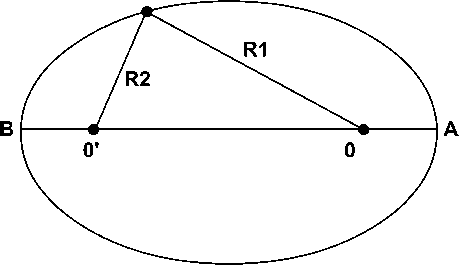 It is centered on the Earth at E.
The diameters of the ecliptic circle AC and BD are perpendicular to each other and pass through the tropic and equinoctial points. Spring equinox (one of two points where the ecliptic and the plane of the Earth's equator intersect, as marked on the sphere of the stars; about March 21) is at A. Summer solstice (one of two points on the ecliptic where the Sun is at its greatest distance above or below the plane of the Earth's equator; about June 22 in the northern hemisphere, the beginning of summer, and the longest day of the year) is at B. Autumnal equinox (about September 22) is at C. Winter solstice (about December 22; the shortest day of the year) is at D.
If the Sun traveled with uniform motion (constant velocity) around the ecliptic circle ABCD, as observed from its center E, the Sun would traverse arcs AB, BC, CD, and DA in equal times. The seasons (spring, summer, fall, and winter) would be equal in length, a quarter of a year each. 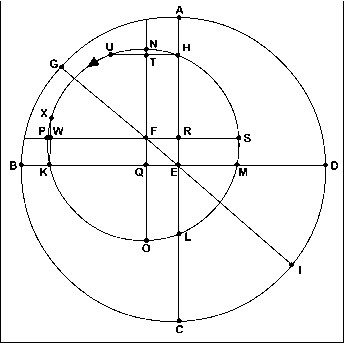 From observations, however, as observed from E, arc HK is 941/2 days; KL is 921/2; LM is 881/g; and MH is 901/8, with HKLM an eccentric circle centered on F. Uniform motion around HKLM appears nonuniform to an observer at E.
To make arc HK the longest of arcs HK, KL, LM, and MH, as seen from E, it is readily obvious that the center F of the eccentric circle HKLM must be placed somewhere in quadrant AB. Ptolemy worked out geometrically and quantitatively precisely where in quadrant AB. necessary to take up the apparent irregularity or anomaly of the Sun . . . And this can be accomplished by either hypothesis: (1) by that of the epicycle . . . But (2) it would be more reasonable to stick to the hypothesis of eccentricity which is simpler and completely effected by one and not two movements" (Almagest, III 4). Ptolemy further demanded that theory determine the precise position of the Sun for any given time: "The first question is that of finding the ratio of eccentricity of the Sun's circle . 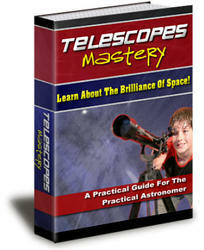 . . what ratio the line between the eccentric circle's center and the ecliptic's center . . . has to the radius of the eccentric circle; and next at what section of the ecliptic the apogee [the point farthest from the Earth] of the eccentric circle is to be found" (Almagest, III 4). This Hipparchus had done: "For having supposed the time from the spring equinox to the summer tropic [solstice] to be 941/2 days, and the time from the summer tropic to the autumn equinox to be 92V2 days, he proves from these appearances alone that the straight line between the aforesaid centers is very nearly V24 ofthe radius ofthe eccentric circle; and that its apogee proceeds the summer tropic by very nearly 2472° of the ecliptic's 360°" (Almagest, III 4). Ptolemy's own numerical solutions, using both Hipparchus's data and his own new observations, agreed with Hipparchus's determinations.